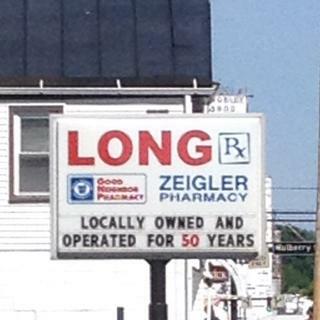 Originally owned by Harold Losey, who started doing business in 1964, then Craig Zeigler in 1983, and now Jim and Bobbi Jo (Long) Schlaegel since 2005, this pharmacy has been serving the people of Wilmington for 40 years. Now our services are available right from your desktop. 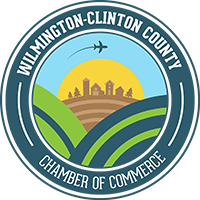 We are a full-service pharmacy, conveniently located at 159 W. Main St., Wilmington, Ohio, 45177. We offer a variety of services such as free local delivery, vitamins and supplements, and an ever growing selection of scented candles and other gift ideas. We have plenty of parking both front and rear, and a drive-through for your convenience. Customer service and individual care has been the cornerstone of our business right from the beginning. Through a strategic partnership with Good Neighbor Pharmacy you can get up-to-the-minute healthcare information, prescription refills and shop online with privacy and security 24 hours a day, seven days a week.